The AS220 Criss Cross Orchestra is a dance band, with a variety of global sounds and a contagious energy. “Criss Cross” is a worldwide, polyrhythmic music that combines traditional native African, American, Caribbean, Cuban, Latin American and European musical styles, and includes the tonality, improvisations, and other musical dynamics found in Jazz, Rhythm & Blues, and Hip Hop. ACCO is prepared for school and college workshops or concerts for special events and festivals. OBUAMAH LAUD ADDY – MUSIC DIRECTOR, COMPOSER, VOCALS/PERCUSSION Obuamah was born and raised in Ghana, West Africa, in a family of traditional medicine musicians and healers. He was a child singing star in African style, and was awarded the prestigious and coveted Ghana Festival of Arts Award for musical art in 1967 due to his work with his fathers group the Red Bongas. During the mid 1970s through the 80s, he played “HIGHLIFE” (West African popular dance music) with most of the popular bands in the country of Ghana (Bob Coles Band, Black Beats, Sweet Talks, and Sweet Beans) as the lead singer, dancer, and percussionist. In 1982, Obuamah Addy joined the group Odadaa led by his uncle Yacub Addy in the United States, of which a PBS documentary called “Dance Like A River” was filmed and aired throughout the 80s to share the traditional authentic dance and song of this group! The ensemble traveled widely through the US, Japan, Canada and the Carribean and performed for the President Clinton inaugural festivities. In past years they have toured the entire US with Wynton Marsalis and the Lincoln Center Jazz Orchestra with appearances at the Kennedy Center (DC), Lincoln Center (NYC), and the Montreal (Canada) Jazz festival. This tour led to recordings and TV appearances with Obuamah as the lead singer, which encompassed a performance in Washington, DC for the pre-inaugural celebrations of the first African American President of the United States Barack Obama. You can find samples of his voice and style on the album released called “Congo Square” which is available on iTunes, also a DVD of the concert at the Montreal Jazz Festival is available on Amazon. 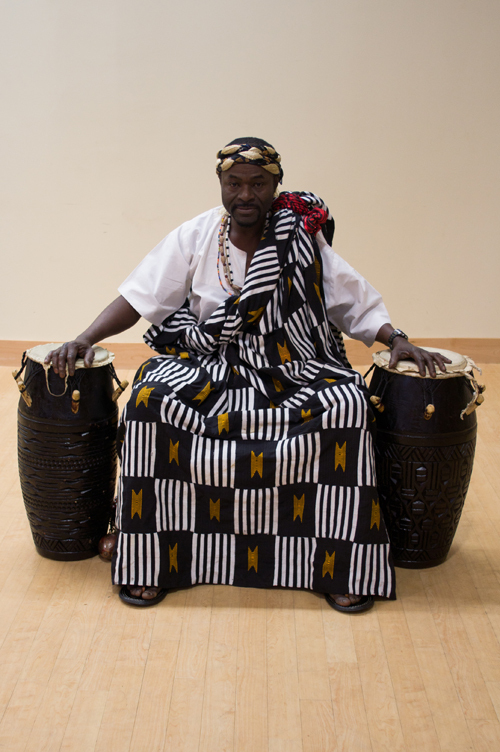 Besides his appearances with several established musical ensembles, Obuamah Addy has also been awarded a place to teach as a master/teacher in various educational settings; he has been awarded special grants to teach his style of traditional Ghanaian West African drumming, dance, songs and rituals. In 2010 Obuamah established as the musical director the AS220 Criss Cross Orchestra (ACCO) with the help of Umberto Crenca, artistic director of AS220 and Rhode Island Philharmonic School of Music in Providence, Rhode Island. GERARD HEROUX – ASSISTANT MUSIC DIRECTOR, FRENCH HORN/TRUMPET Gerry formerly an adjunct faculty at Brown University in French horn, is a published composer and arranger and an instructor/performer of French horn, trumpet and bass guitar. 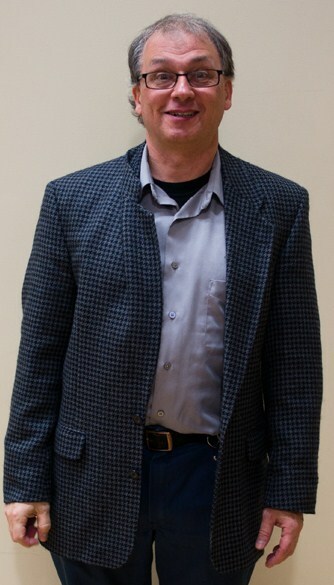 Mr. Heroux is currently the Facilities Coordinator for the University of Rhode Island Department of Music where he oversees a million dollars of equipment inventory, coordinates the scheduling of all URI concerts, recitals and festivals, and supervises a resource center serving 3,000 students annually. Mr. Heroux plays Eb alto horn in the Providence Brigade Band, a group that recreates in look and sound a typical mid-19th century brass band. He also plays French horn, trumpet and sings in the AS220 Criss-Cross Orchestra, an 11-piece dance band that combines African and other world music styles, and he is the musical director of the Munroe Dairy Marching Milkman Band, a group that performs original and improvised parade music. DEEDEE BROWN – VOCALIST DeeDee was born in Providence, RI and raised between her hometown and Florida. Following in the family tradition of singing, she has been performing since the age of 5 in both church and school choirs. While attending Miami Union Academy in Miami, Florida she was part of a select group of elementary students who were chosen as a traveling choir to perform around the state. In her teens, along with 4 other youth, she formed a gospel ensemble called “The Harmonics”, who traveled throughout Southeast Florida performing at various programs and events. DeeDee was a recipient of a music scholarship to attend Indian River Community College (FLA). After relocating back to RI in 1995, she became involved in the local music scene singing background vocals for local artists, which was inspired by her involvement in facilitating and organizing cultural programs and events which introduced under-served communities to the arts. This led her to join the RI Gospel Choral Society in 2009. Her desire is to inspire and encourage others to pursue their life’s passion. 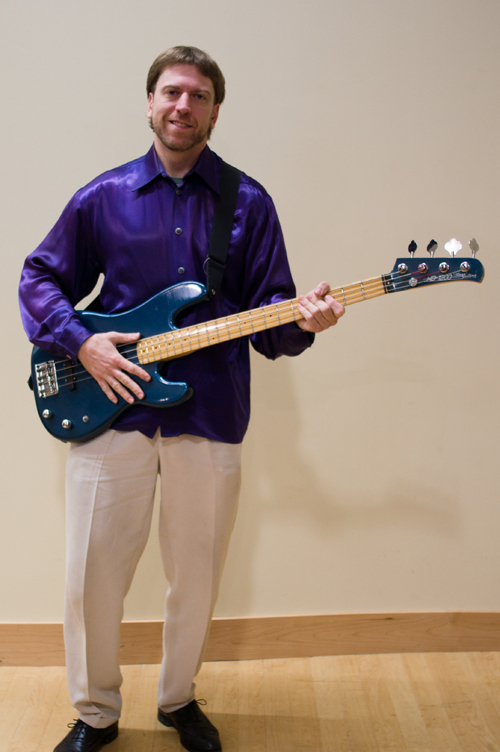 PAUL CARAHER – BASS GUITAR Paul’s group, Funkatronic, won the Providence Phoenix best music poll for jazz/funk for two years in a row. They have shared the stage with such music luminaries as guitarists, Charlie Hunter and Dave Fiuczynski; drummer, Billy Hart; and funk legend, George Porter. Paul’s group has played such festivals as the Discover Jazz Festival in Vermont, Equifunk in Pennsylvania, and the Capitol Arts Jazz Fest in Providence, RI. Growing up in Nashville, Paul took lessons from blues guitarist, Nick Nixon, who along with Hendrix bassist and good friend, Billy Cox, encouraged Paul’s talents. Upon moving to the northeast, Paul and brother, Justin, recorded the cd, “Caraher,” which was favorably reviewed in the national publication, Jazz Improv. Another cd entitled Up From the Underground is available at itunes and cd baby. Paul also performs in the Afrobeat/Reggae group, ACCO, which is led by the distinguished percussionist and singer from Ghana, Obumah Addy. 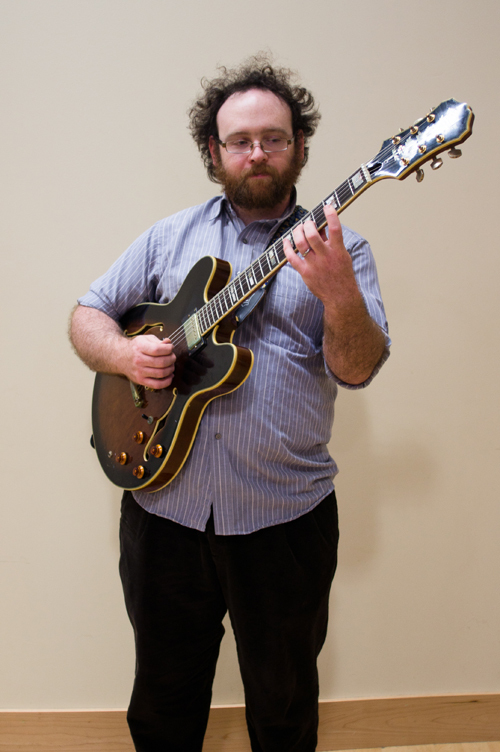 Paul can teach many guitar styles including rock, pop, folk, blues, jazz, classical, and funk. 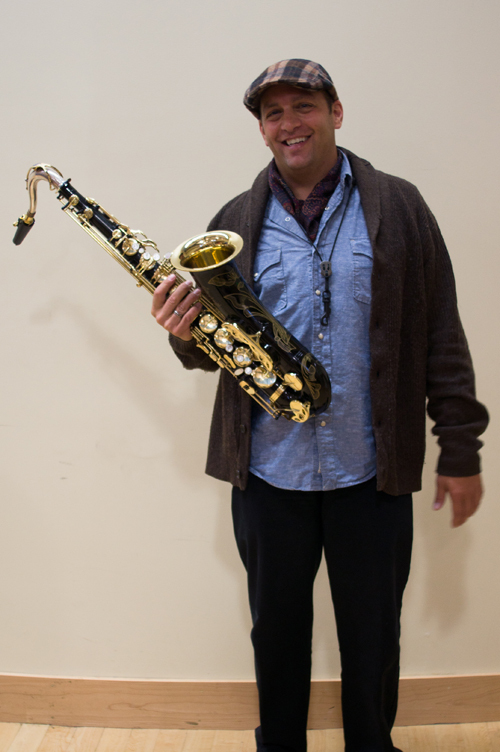 CLIFF WOOD – SAXOPHONE Cliff began playing saxophone in public elementary school at a time when music lessons were offered for free to every child as part of their core educational curriculum. Since then he has performed in myriad contexts, including with big bands, chamber groups and church ensembles; with burlesque shows; in performance art; in jazz, rock and funk bands; and as part of experimental music groups. Cliff has taken the stage at Providence Sound Session, the Providence IndieArts Fest, with the Purple Ivy Shadows, in the Pixound digital media project at The Kitchen in NYC, at the Drimala Records Soundtime RI 2000 improvised music festival, and with the Afrosonic Collective. He is a longtime and current member of Providence’s occasional Cozy Collective. As a producer and arts professional Cliff was the founding director of the Providence Department of Art, Culture + Tourism and co-founded the FirstWorks Providence arts festival and the Providence Sound Session multi-genre music festival. Cliff is thrilled to part of the AS220 Criss Cross Orchestra and its artistic, social and cultural vision. 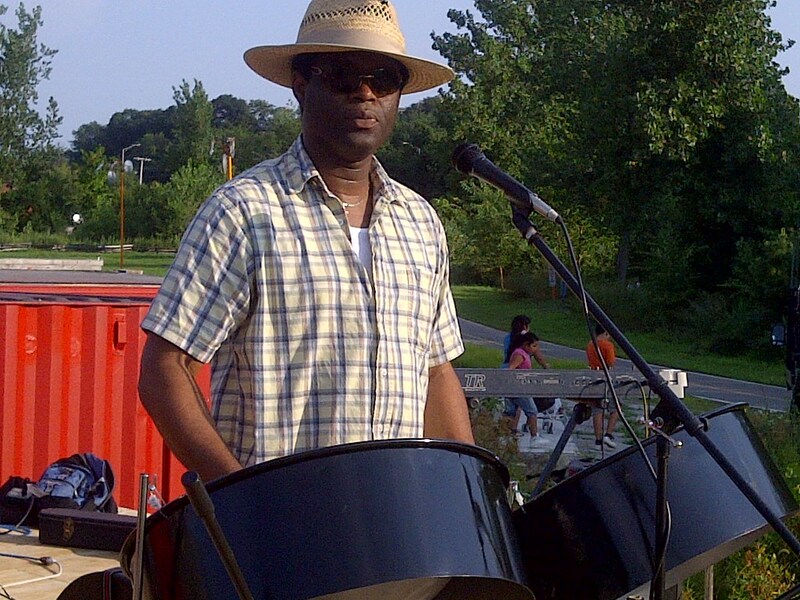 JASON ROSEMAN – STEEL PAN DRUMS Jason is a traditional steel pan maker, tuner and player from Trinidad & Tobago; the son of a steel pan pioneer he learned his craft from his father while living in Trinidad. Mr. Roseman is an active producer of steel pans and is a sought after performer. Jason plays the classic calypso tunes the island is known for as well as jazz and his own compositions. 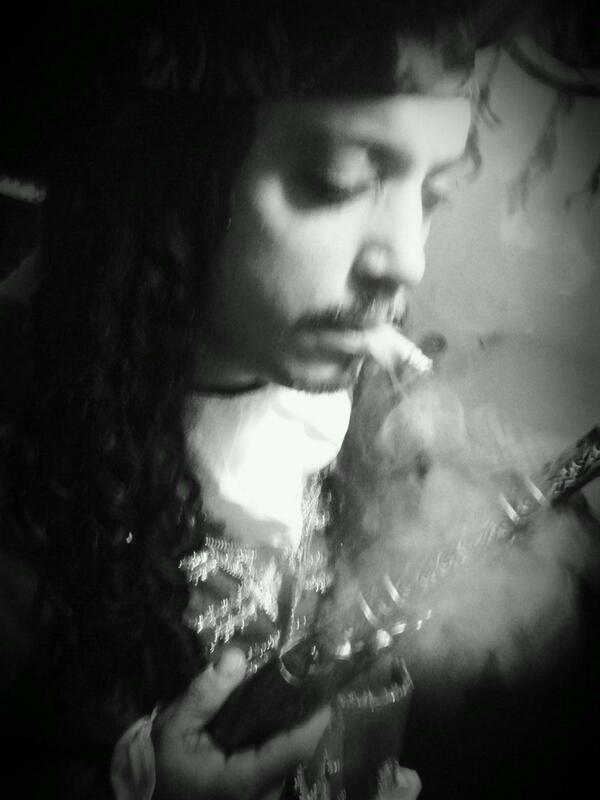 In Rhode Island and throughout the region, he performs with his band, Jason Roseman and Tropical Gems. Jason is also a seasoned instructor. PHIL EDMONDS – MUSICIAN, TIN WHISTLE/ACCORDION Phil, musician, community activist, writer, and a native of Killaloe, County Clare, Ireland, learned to play the tin whistle in a place where he says, “The backyard was the fields.” When he was 14 years old, Phil, along with his family, emigrated to America and settled in South Providence, where he still lives. 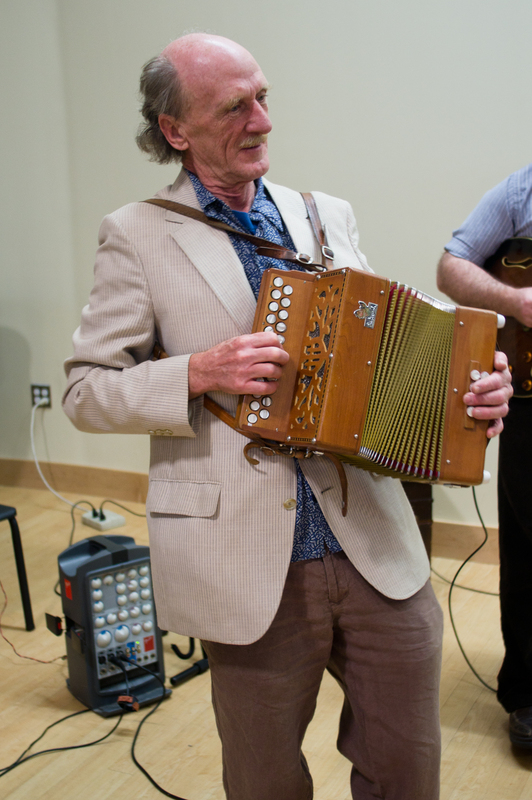 He performs with the world fusion band The Gnomes and also plays the Irish whistles and button accordion with Celebrating Ireland, The Providence Wholebellies, and Trua. He also performs with Triple-Decker which is a narrative by Marc Levitt accompanied by musicians from six different countries. The world music scene of the Providence area has had a big influence on Phil’s music. Catch him some Friday nights sitting in with Zerui DePina’s Cape Verde band at Tropical Club in Central Falls. Besides appearing on numerous recordings over the years, he has recorded To the Dance Floor and Everybody Must Get Gnomed with The Gnomes, and Under the Arch with Otis Reed. Phil was written two books: Reconnecting with The Soul of Ireland, an account of visiting Ireland after having been away for fourteen years, and Taking Great Care: A Portrait of Community that relates through personal experiences, the importance of feeling connected to community in one’s daily life. LIAM SULLIVAN – LEAD GUITAR Liam is a guitarist, bass player, songwriter, and composer from the South Coast region of Massachusetts. 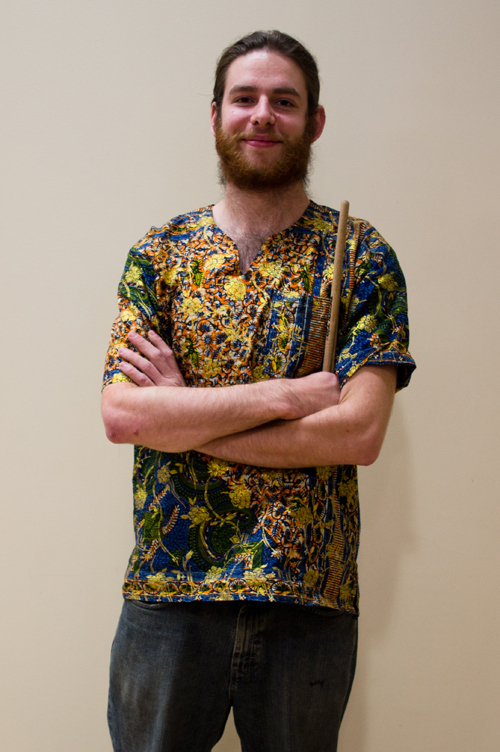 Originally from Rhode Island, Liam attended Berklee College of Music in Boston and currently lives in Westport, MA. Both a teacher and performer, Liam has played bass and guitar in several Rhode Island and Southeastern Massachusetts bands ranging across a broad array of styles including rock, funk, R&B, country, folk, and jazz. Liam currently plays guitar with the Tiverton, RI-based death metal band Destroy the Sun. Liam occasionally performs original songs under his own name and composes instrumental music with bass, guitar, and the software instrument Reason.